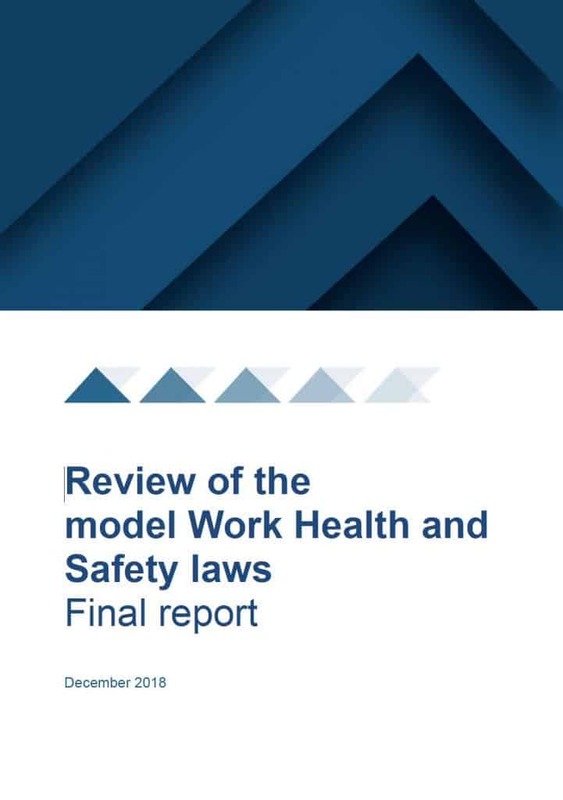 The Australian Government has released the final report of the Independent Review of its Work Health and Safety (WHS) laws, conducted by Marie Boland. 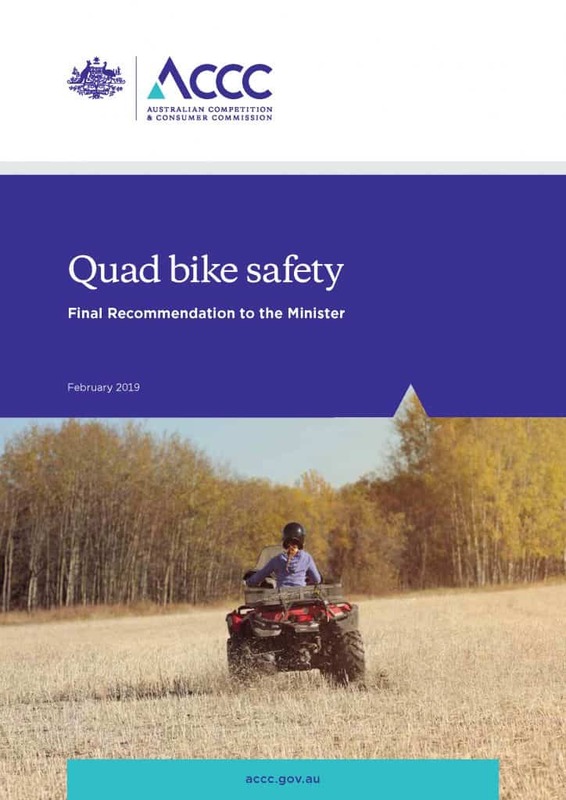 Importantly, the Government has not issued its response yet and, given that there is a Federal Election in a couple of months’ time, is unlikely to. Why have another issue complicate the campaign particularly when that response may have to address Industrial Manslaughter laws which would focus on the accountability of business leaders? This Government has already been bruised on a similar issue through a Banking and Finance Royal Commission. Regardless of this Government’s future treatment of the Boland Report, the report does progress occupational health and safety (OHS) and the operation of the WHS laws, reinforcing some aspects and challenging other. It is obligatory reading for those interested in OHS in Australia. 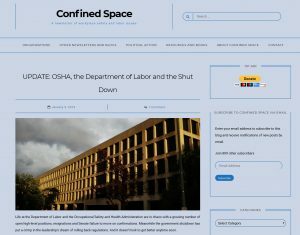 I am one of the few freelance writers in Australia who focuses on occupational health and safety (OHS). As a result, my presence is often uncomfortable to those who organise conferences and seminars, even though I operate under the Journalist Code of Ethics. People have had to accept that there is now a media interest in OHS-related events where previously there was very little. This has caused a couple of problems and challenges. One of the hottest occupational health and safety (OHS) issues at the moment is Industrial Manslaughter but this is just one aspect of the enforcement of OHS and prosecution for breaches. 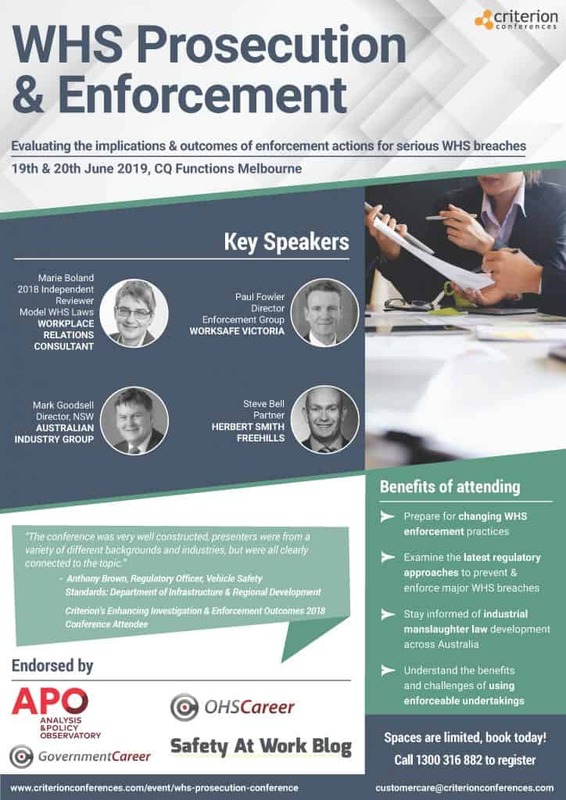 In June 2019 a two-day conference on OHS/WHS Prosecution and Enforcement is being held in Melbourne, Australia with a list of respected speakers who are prominent in Australian labour law circles. The conference is more expensive than some other OHS conferences but the list of speakers is impressive and the theme could not be more topical. (A brochure is available for download) Until March 15 2019, Criterion Conferences is applying an Early Bird discount of $500 for each delegate. SafetyAtWorkBlog has negotiated a further discount applicable to Subscribers only. In fact there are currently 12 readers online and a total of 17913 readers this month!